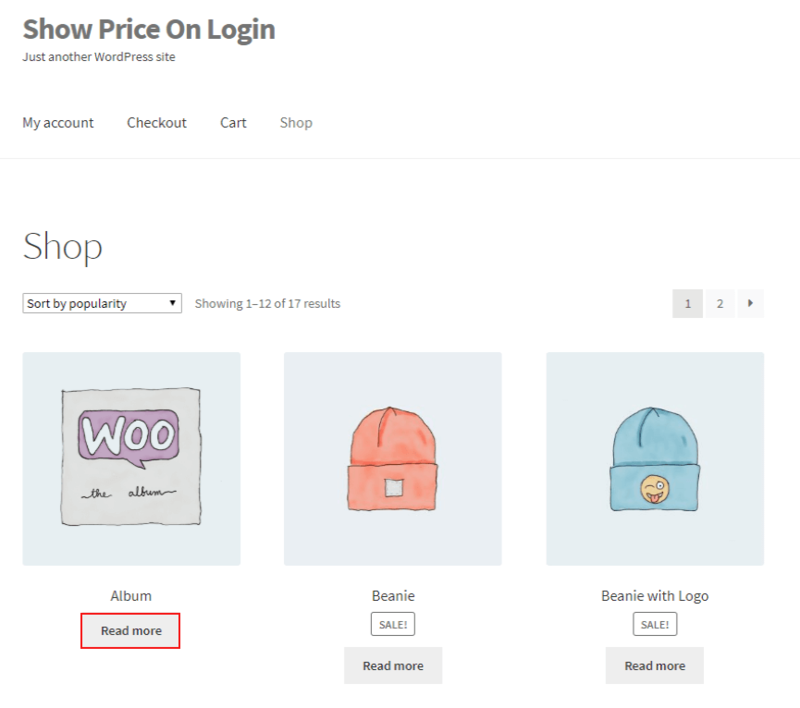 WooCommerce Show Price On Login plugin helps you to hide the product’s price until the user is logged in or until the correct password is entered. 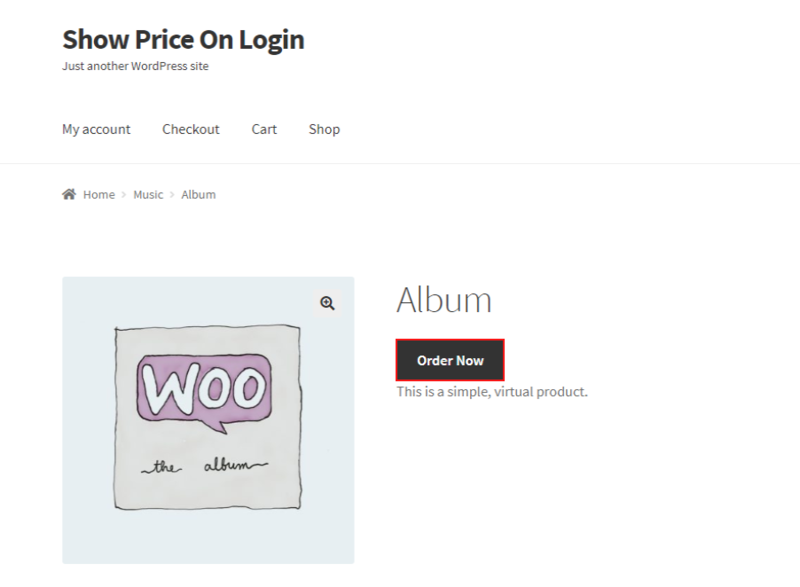 Show the product’s price on successful login. 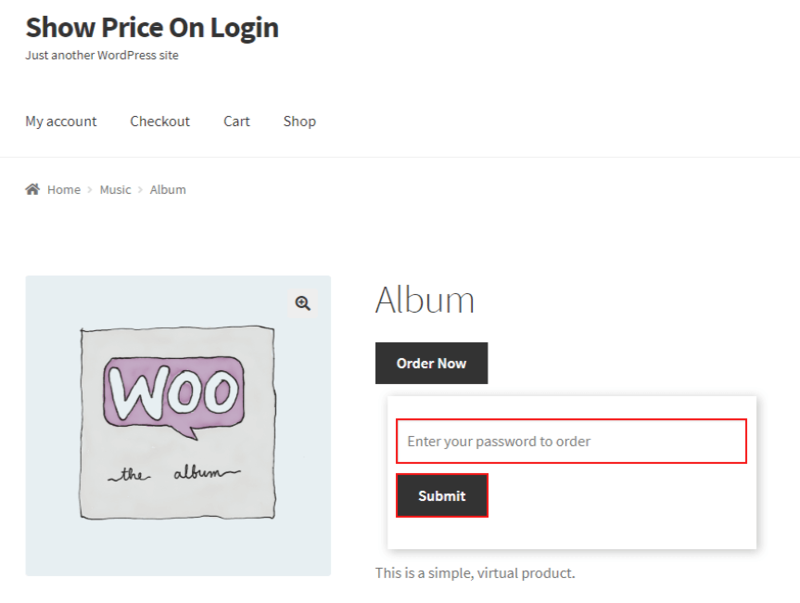 Show the product’s price after successfully entering the correct password. Show the product’ price to the selected user role. 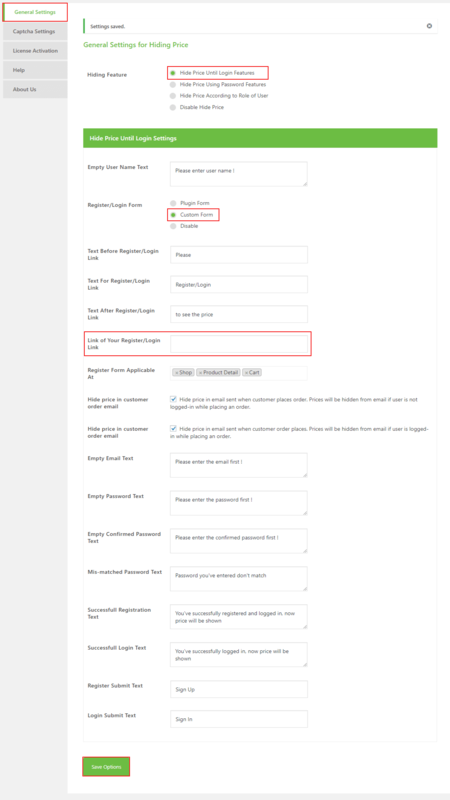 Enable the Captcha setting on the registration/login form. 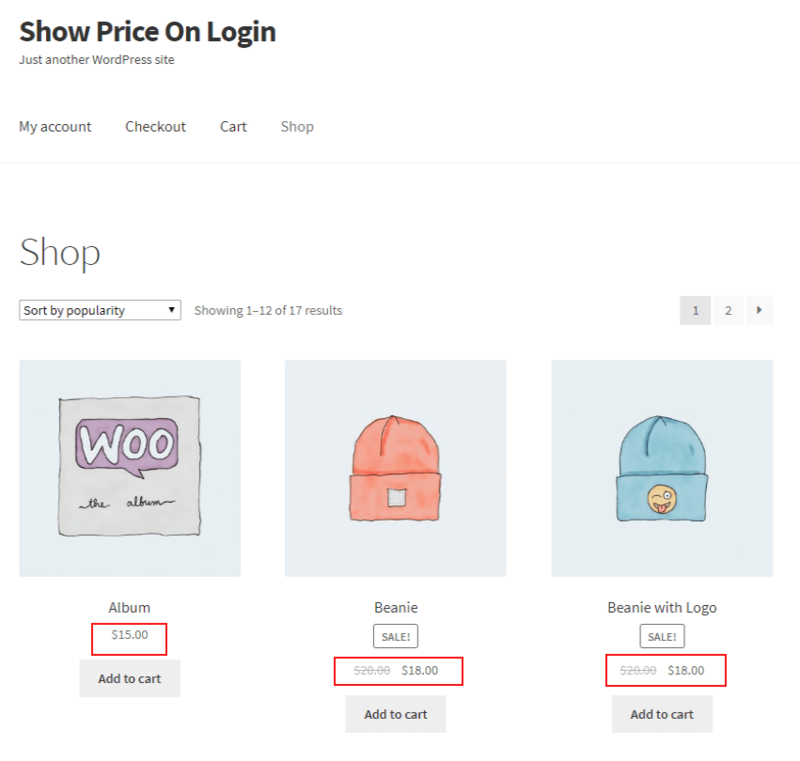 Download WooCommerce Show Price On Login plugin. And last Click one Activate Plugin Tab.  Manual installation of the plugin is another option to install the plugin in the sellers WordPress-environment. 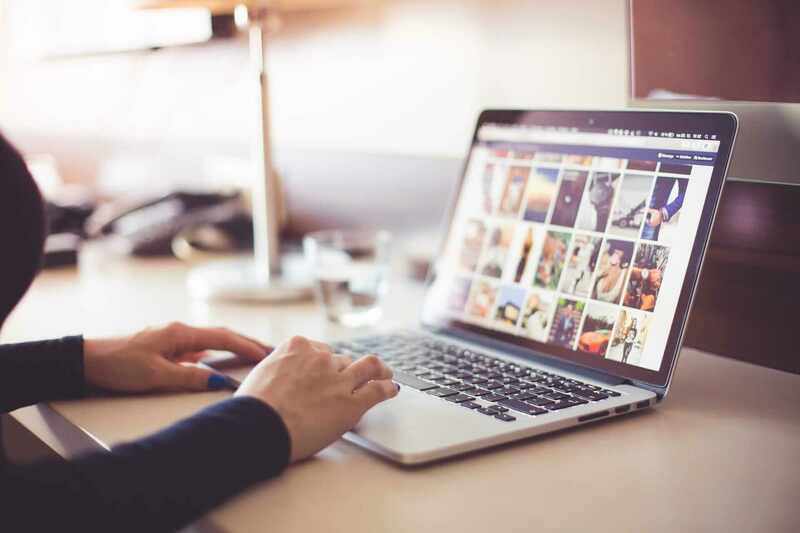 The manual installation method involves downloading our WooCommerce Show Price On Login plugin and uploading it to the web server via their favorite FTP application. 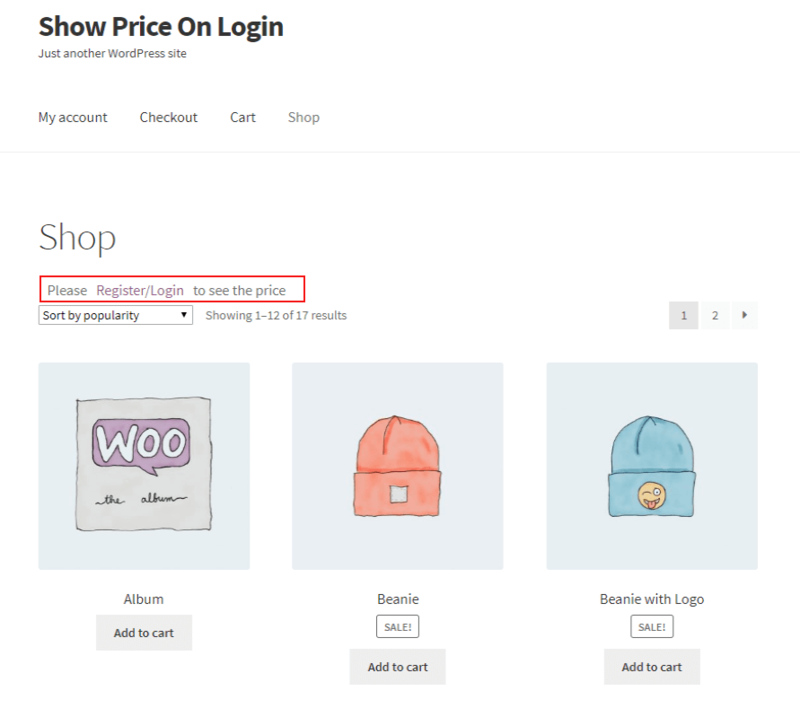 Upload the WooCommerce Show Price On Login folder to the /WP-content/plugins/ directory. 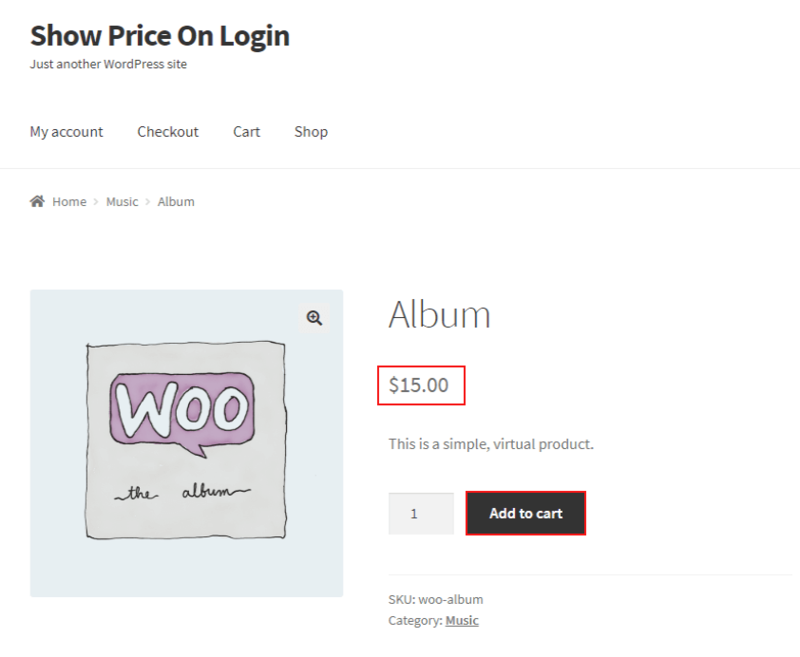 In this setting, the plugin provides three ways to hide product’s price from the site. This setting, allow the merchant to hide the product’s price until the user logged in. 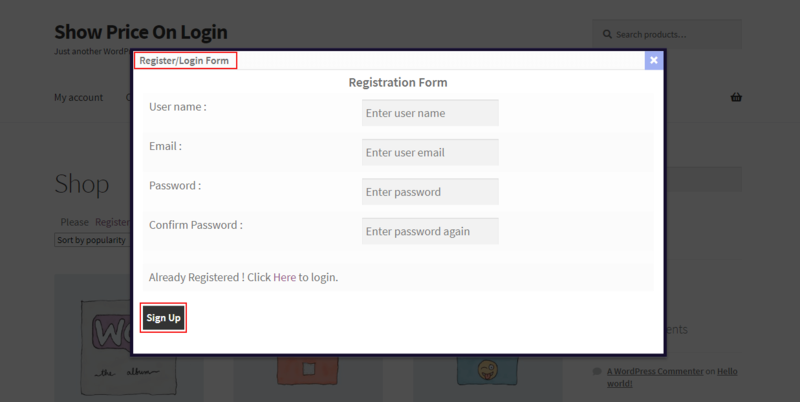 This plugin provides a default login form. 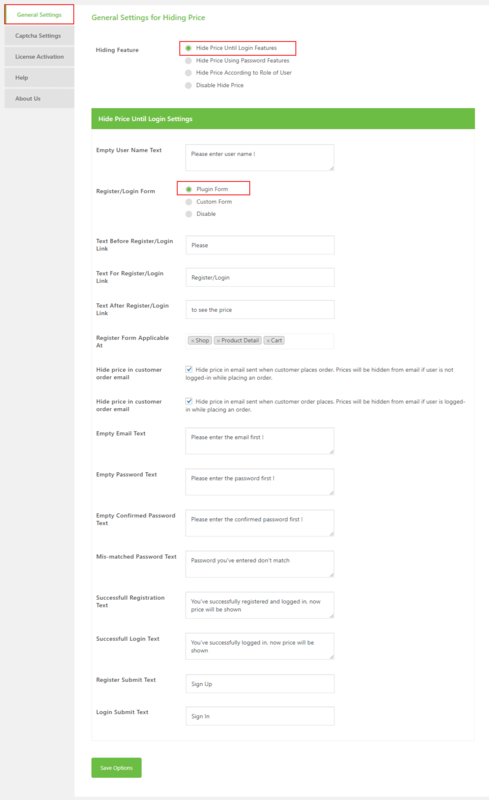 After click on Registration/Login link on the site, the user will redirect to the login form. After successfully Sign Up, they can see the product price. 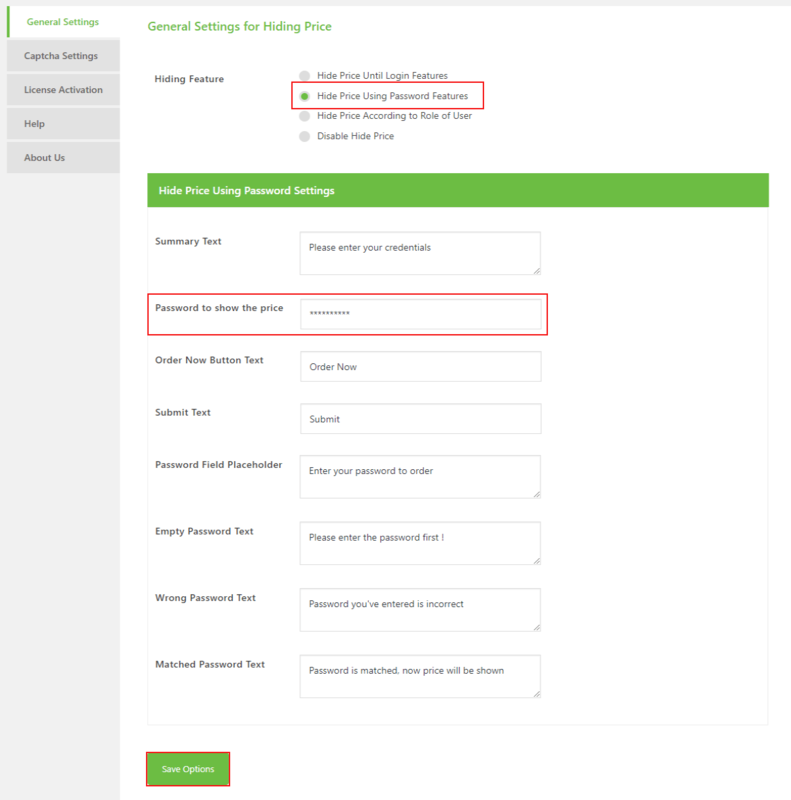 Through this setting, the merchant can use own registration/login form via the inserting the URL. 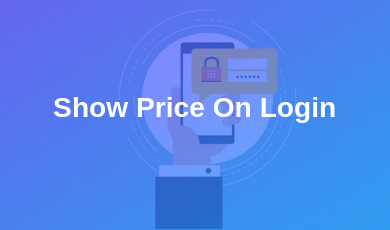 Through this setting, The merchant can hide the price using the password feature. After entering the correct password your customer can see the product’s price on the site. when you enable the “Hide Price Using Password ” setting, customer can view the price after multiple steps. Step 1. First, click on the Read More button. Step 2. Click on the Order button. Step 3: Enter the password and click on Submit button. The password is given by the merchant to their customers. After entering the correct password customer can see the product’s price. From here, the merchant can enable the “Hide Price Setting” for the specific users. Through this setting, you can disable the “Hide Price feature” from the site. 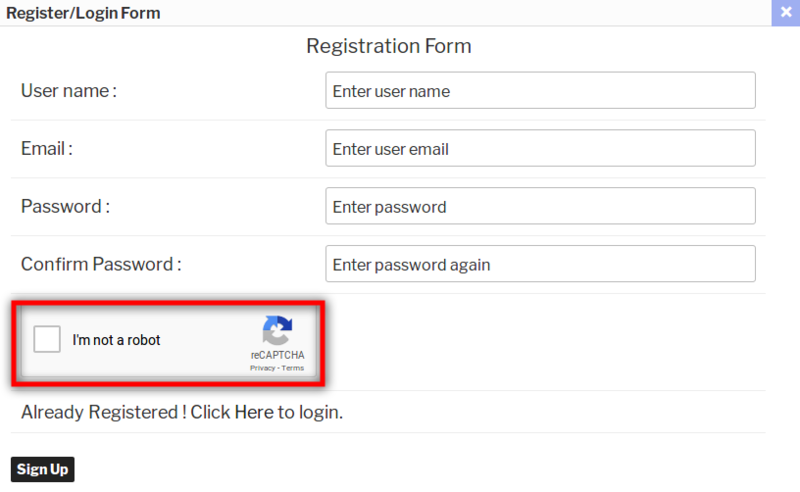 Enable the Captcha setting on login form to enter Site Key and Secret Key. Click on the given link “register your domain” > Register > get the Site Key and Secret Key. Paste Site Key and Secret Key and click on save options to enable the setting. On the user Register/Login form, you can see the reCAPTURE setting.